Situated in Siurana, this country house is within 9 mi (15 km) of Museum of the Emporda, Dali Museum, and Church of San Pedro. Toy Museum of Catalonia and Sant Ferran Castle are also within 9 mi (15 km). 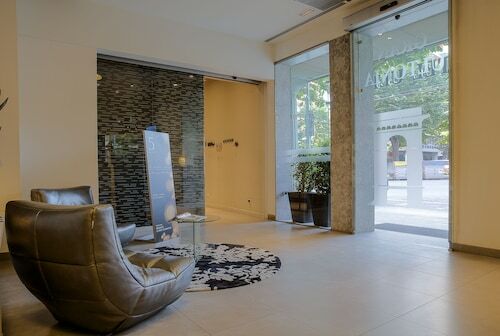 Located in Eixample, this hotel is within 1 mi (2 km) of Fira de Girona Convention Center and Girona Cathedral. ANTIC HOSPITAL DE STA. CATERINA - ESPAI EXPOSICIÓ and Museum of Cinema are also within 15 minutes. Girona Station is 12 minutes by foot. 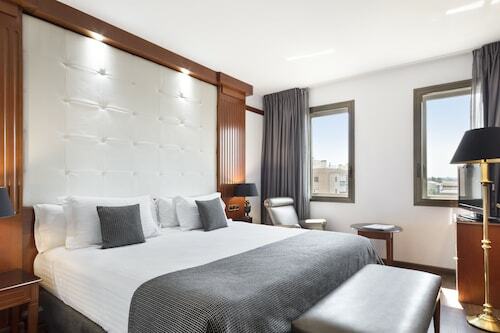 Located in Eixample, this hotel is within a 10-minute walk of Museum of Cinema and Girona Cathedral. Eiffel Bridge and Rafael Maso Foundation are also within 10 minutes. Girona Station is 10 minutes by foot. 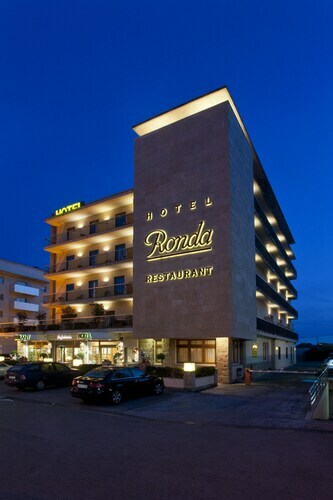 Located in Fontajau, this hotel is 1.1 mi (1.8 km) from Fira de Girona Convention Center and 1.3 mi (2.1 km) from Girona Cathedral. Church of Sant Feliu and BÒLIT - CAPELLA DE SANT NICOLAU are also within 1 mi (2 km). How Much is a Hotel Room in Siurana? 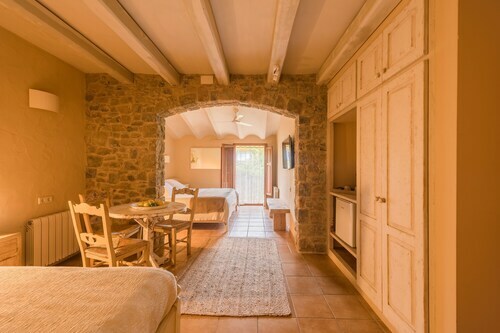 Hotels in Siurana start at $44 per night. Prices and availability subject to change. Additional terms may apply. Pack your bags—it’s time to embark on a getaway. Whether you’re craving a solo retreat or promising your family a vacation to remember, book one of the best hotels in Siurana. These hotels are located within easy access of the city’s hottest attractions and entertainment, so you won’t miss a beat while you’re in town. Spend the days exploring the local landmarks and the evenings getting to know the nightlife. After exploring the city from top to bottom, rest up at a hotel that speaks to you. Find the perfect place that matches your trip’s vibe, from a trendy boutique to family-friendly accommodations. 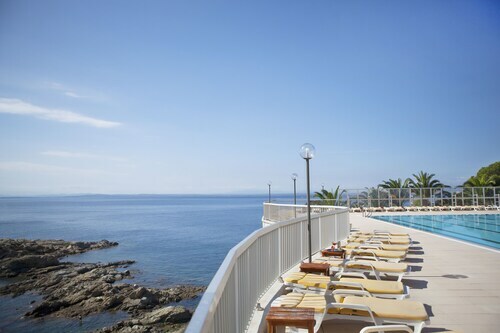 You could also check out the Mas de Torrent Hotel & Spa as well as the Hotel Vistabella. The Mas de Torrent Hotel & Spa is positioned 19 miles (31 kilometers) away from central Siurana. The Hotel Vistabella, is situated only 10 miles (16 kilometers) away. Some other possible places to stay are the La Costa Golf & Beach Resort and the Almadraba Park Hotel. After you've put in the time exploring Siurana, why don't you tour a little bit more of the area? The Catalonia area has myriad things to offer. Travel to Catalonia's ruins, castles and old towns. Anyone seeking some fresh air should also put aside some time to check out the region's beaches. Visitors in this pocket of Spain love mountain biking, mountain climbing and hiking. 18 miles (29 kilometers) away from Siurana, you can find Girona, where you can explore Girona Cathedral and Arab Baths. Travelocity-listed Girona hotel establishments include the Hotel Nord 1901 and Hotel Museu Llegendes de Girona. 35 miles (56 kilometers) south of Siurana, you can also stay at Old Town, which boasts the Hotel Tossa Mar and Premier Gran Hotel Reymar & Spa. The Parish Church of Sant Vicenc and Chapel of Our Lady of Socorro are frequented points of interest to explore when you're in Old Town. If watching sport is a favourite pastime, make the trip to Circuit de Catalunya, situated 60 miles (95 kilometers) to the southwest of Siurana. Travelocity customers who enjoy the ease of finding a hotel close to the game, reserve a room in the Hotel Can Galvany Golf & Spa or Mercure Augusta Barcelona Valles. 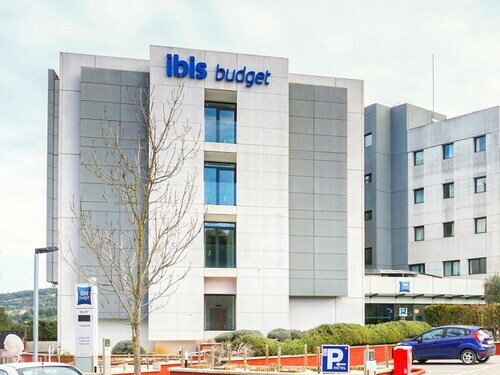 If you are arriving or departing via Costa Brava Airport, you may like to book a room at Meliá Golf Vichy Catalan, or Salles Hotel Aeroport de Girona, which are both located conveniently located nearby. Great place! Nice staff! Cheap parking offered! Will be back. 3.0 Good hotel but disappointed in many ways. My family has been coming to this hotel for the last 40 years. We probably discovered this hotel way before most of the staff was even born...So I was a bit disappointed by the way we were treated. I invited my two nieces and my parents for a few days early July. Initially my brother was suppose to come but for health reasons decided not to join us. I booked the three rooms through Travelocity. One was a suite for my parents and the others for everybody else. When I booked the rooms I decided to include dinner. Since my parents are old I thought it would be easier for everybody. When my brother decided not to come I called Travelocity to cancel his reservation. It was done before June 27th as that was the limit to change anything. When we got to the hotel it was clear my brother wasn't there. Instead of 6 we were only 5. But nobody at the reception said anything. Since I had already spoken to Travelocity I thought I wouldn't be charged for three nights of dinner for an adult that didn't show up. I was wrong. When I left, the reception made me pay for everything and asked me to deal with Travelocity. I was told they couldn't do anything. So I called travelocity who called a few times the manager explaining the situation. The manager refused to reimbursed me. It was their policy. SOOOO...What was the point of me canceling before June 27th? Why wouldn't they want to reimburse me barely $125? It's completely unprofessional. Is it really worth loosing such good clients? Lovely, spacious room. Located within walking distance of Old Town and many wonderful restaurants. Warm and helpful staff. We hope to return some day. So easy to find . Very clean and modern .especially the bathroom and bedroom.comfortable beds. Very friendly and helpful reception staff .ideal place to stay for a night while on route to France or Spain . Also visiting the Salvador Darlington museum is a must . Very good food in the restaurant or out on the terrace and reasonably priced . Very good breakfast also . This hotel has a great location, sleek modern rooms and elegant charm all in one. The staff was great. Andres was especially friendly and helpful. The breakfast is robust and the Dali prints on all the walls an added Treat. The daily lunch menu at the lovely restaurant is a great value and the wait staff are gracious.